Please note that this training is no longer available on-demand. To register for our next live training, click here. Whether you've already launched your home staging business, or you're trying to decide if home staging is the right career choice for you, this is your backstage pass to getting an inside look at the industry. 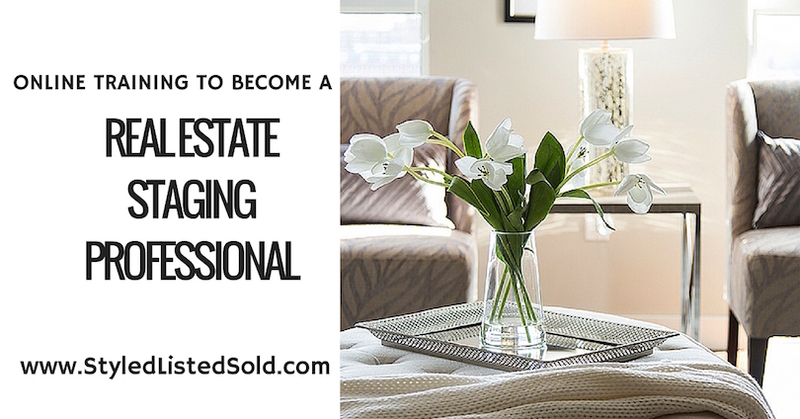 Are you interested in home staging, but unsure of what skills you'll need? Want to know how much it will cost you to get started in a home staging business? Are you working a full-time job and not sure how to transition, while still paying the bills? Exactly how to get started in home staging, including what to do and what to avoid at all costs. How to run the numbers and calculate your sales and costs, letting you forecast well in advance. Choosing your business model, namely to own or to rent your inventory right off the bat! I just recently decided to begin a career in real estate staging. Starting your own business is a bit daunting and this webinar was extremely helpful and easy to follow. Thank you! Interesting and informative. A good way to touch on some of the things you would need to know and had probably not thought about as you start planning to begin your Home Staging Career. Thank You. I went through another company's certification program. They really had quite a lot of tools and info, but when I went to set-up my home staging business, I was not aware of all of the costs, the extensive details of what it takes to launch this type of business. This course would have been a real benefit if I had come to it 2 years ago.